Everyone's saying now is the best time to refinance — but how do you know you're prepared? Online mortgage exchange Lending Tree asked its network lenders about the mistakes consumers make when attempting to refinance their home loans. According to Mona Marimow, Senior Vice President at Lending Tree, "The Marketplace Survey provides valuable insight into the national mortgage arena from a lender's standpoint. What we've seen is consumers could achieve greater benefits if they were more prepared in advance of requesting a loan." So what are the top 5 mistakes borrowers are making when refinancing their mortgage? Over-estimating the value of the home. Just because your home was worth $300,000 seven years ago doesn't mean it's still worth that. Nationally, home prices have fallen more than 30 percent, with some markets (Las Vegas, Phoenix, and Miami come to mind), falling much more. If you don't have enough equity, you'll receive a higher-than-expected refinance offer. Hesitating to lock in low rates. Because mortgage interest rates have fallen to new lows in each of the past three or four weeks, borrowers are conditioned to believe that these incredible low interest rates might get even lower. And, they could. Yesterday the Federal Reserve Bank announced a plan to buy $400 billion in long-term debt in order to push down long-term interest rates. But waiting wont' help you. If interest rates fall after you close, you can always refinance - but at least you've locked in a great interest rate. Focusing only on interest rates. When it comes to refinancing, interest rate is important. But so are the points, fees and loan terms. If you want to avoid making a big refinancing mistake, look at the big picture. Overlooking shorter term loans. If you're not going to stay in your home for 10 years, you might want to look at a hybrid loan that is fixed for 5, 7, or 10 years and then converts into a 1-year adjustable rate mortgage (ARM). These loans which would reduce the amount of interest paid, though they do carry more risk. If you stay beyond the fixed period, your rate could rise. Right now, fixed interest rates are so low, I think going for a 15-year fixed-rate loan is an amazing deal. No knowledge of the documents required to refinance. I'm always amazed that folks don't read legal documents before they sign them. When you're getting a mortgage, or refinancing your existing loan, there might be 80 pages of documents. If you don't read them, you'll never know what your loan terms are. According to Marimow, one-third of borrowers have no idea what their current mortgage rate is, and that's trouble. Borrowers need to be prepared when they go to the negotiation table to make sure they receive the best rate possible. As Marimow put it: "Consumers would not go to a gas station they knew was offering fuel at a significantly higher price than surrounding stations. 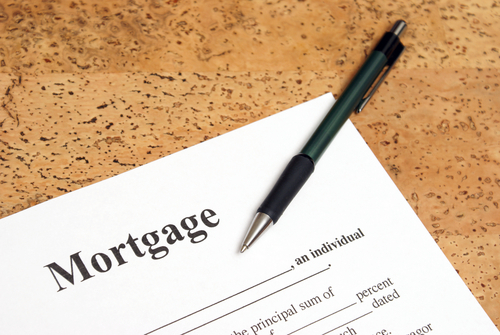 They need to bring the same sensibility to the mortgage market." Most people don't think about their mortgage interest rate or home value until there's a problem. This becomes an issue when they want to refinance. The Lending Tree survey reveals many consumers are unaware of what happened to the value of their home over the past few years. It's the old "it couldn't happen to me" syndrome: Even though the economy tanked and the housing bubble burst long ago, many people think it doesn't affect them directly because of the emotional value they attach to their home. No matter how nice your home is, if you're in a market that has taken a significant hit, the price of your home probably has too. It's important to know how big of a hit before you try to renegotiate your rate. Some of the most telling results of the survey have more to do with consumer confidence than mortgage rates themselves. While consumers have traditionally had "buyers' remorse" after taking out a mortgage and wondering whether they got the best rate, post-bubble purchasers are experiencing what Marimow calls "pre-traumatic stress." In other words, the anxiety and nervousness associated with the housing and mortgage markets are preventing many consumers from even attempting to refinance. That's not good news. History tells us when rates go low, people dive into the housing market and that demand eventually drives prices up. In this case, even low interest rates cannot convince consumers to get their feet wet. It's not just people who don't have capital to buy homes; current home owners would rather stick with the rate they have than face the anxiety that goes along with refinancing. Yes, it's scary out there. But if you get your paperwork together, know your credit history and score, and are prepared to have your financial life explored, you can get perhaps the greatest refinance deal of your life. Have you refinanced due to low interest rates? Do you have any advice to share? House vs. college: Which costs more?